I love controversy. But after a week in which US politicians were talking about World War III (or was that IV) and somehow CDM’s great comment threads wound up on the topics of whether hardware or software was better (discussion = not allowed on this site), and whether starving children would be able to eat affordably-priced laptops, I decided it was time for an experiment. Could I write an entry with total appeal and zero controversy? I present, as mind candy for the weekend: adorable animals with synthesizers. 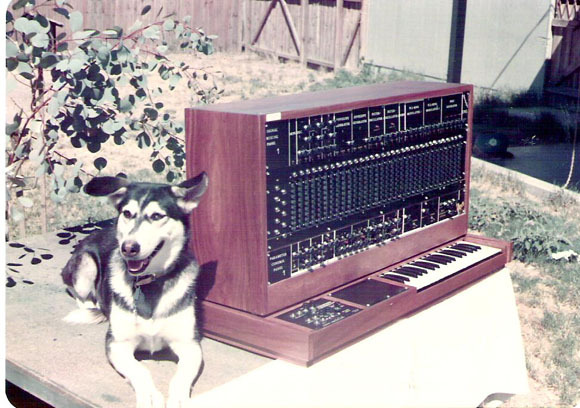 Sakie and Synthesizer: I think Synthesizer is the dog? There’s a pup we can take into our hearts. 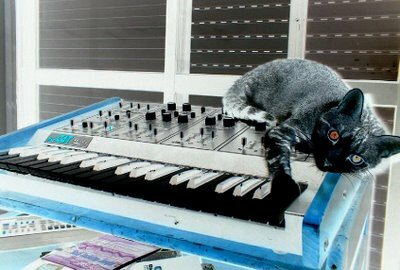 I’d say Synthesizer could be co-mascot for CDM with Hatebeak, but that might cause fur and feathers alike to fly. This shot comes from Suki Dhanda’s Year of the Dog series for the London underground; dog lovers won’t want to miss the full series at Platform for art. Pound the Dog with Custom Gabriel Synthesizer: Gabriel Sound‘s history of custom sound equipment and synths goes back to the 70s. This time, Pound is the dog, and Gabriel is the synthesizer. If you whistle for Gabriel, I don’t think this modular synth will move. Just a guess. 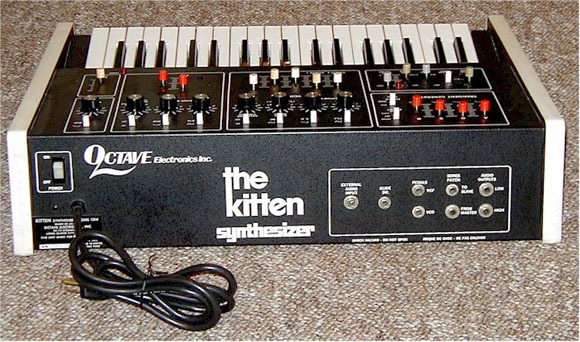 Kitten, the Synthesizer: How better to round out this synth/animal confusion than a synth that actually is a Kitten? 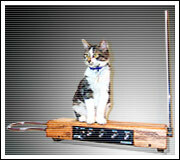 The Octave Kitten was Octave’s low-end competitor to pricey classics from Moog and ARP. Steve Baker has a comprehensive site filled with the obsessive collection of sounds and images you normally associate with better-known synth hardware. So, give the Kitten its due. We all know the World Wide Web is here just to talk about our pets, so I invite you to help CDM follow up its cute kids series with shots of your cat clawing into your Korg and iBook. Don’t be a stranger. One controversy I’m sure we won’t avert: cats vs. dogs. I’m a dog person, so keep that in mind. This is an equal-opportunity animals-with-synths feature, but I may have to maintain puppy quotas.